You're pregnant! These are going to be some of the most special nine months of your life. You might as well have fun along the way! Encourage your baby's inner-Einstein with fun development activities. Tools to help you before and after baby arrives. 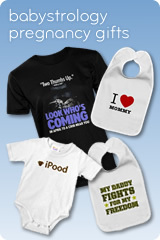 Toys & widgets to amuse you during your pregnancy and after baby arrives. Treat yourself to a quick break with fun free online baby games.